Stockist works with Google's mapping services to power your store locator. Google's mapping services have a generous free tier, and 99% of Stockist clients use less than the free limit. However, Google may ask you to link a payment method to your Google Maps key in order to use the free Google Maps services on your site. To ensure you don't incur unexpected charges, you can set up billing alerts with Google to be notified if your usage nears the free limit. 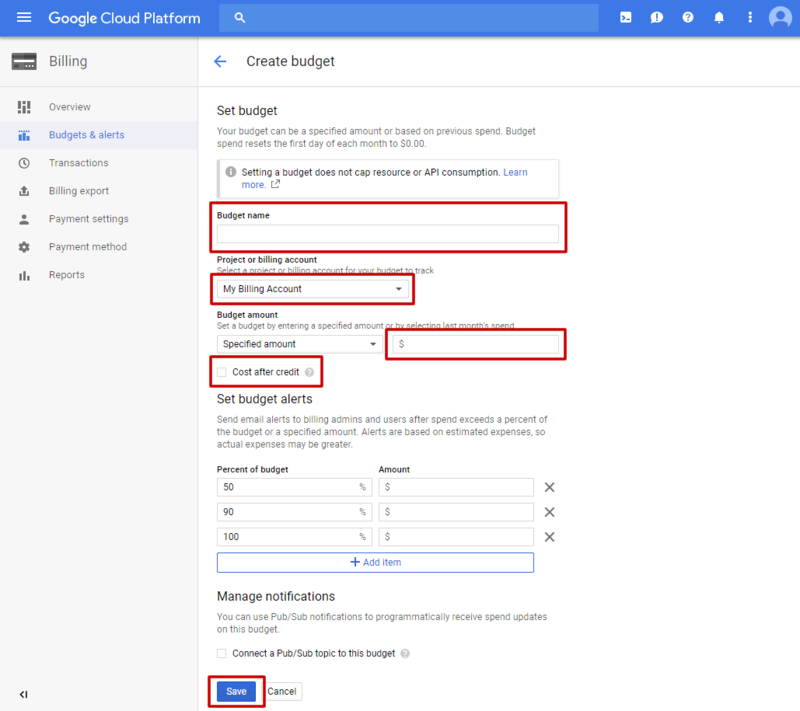 Once you're logged in, click here to open the Google Cloud Platform Billing page. Click on the name of the billing account you previously linked to your Google Maps key. If you haven't set up a billing account with Google yet, follow the instructions here. Enter your total budget amount - if you want to track your free usage with Google, enter $200. 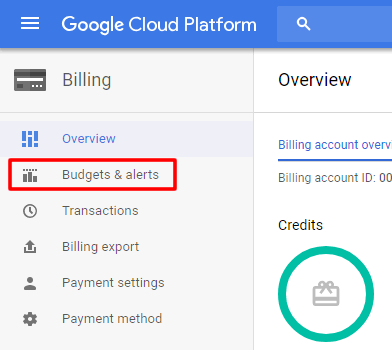 Once you enter a total budget amount, the alert percentages at the bottom of the page will fill in with the dollar amounts that will trigger each alert. Optionally, review the alert percentages and add additional alert thresholds. When done, click the Save button to confirm the alerts. These billing alerts track and monitor the Google Maps usage on your website; also consider enabling service quotas to set up maximum limits for your website's map usage.